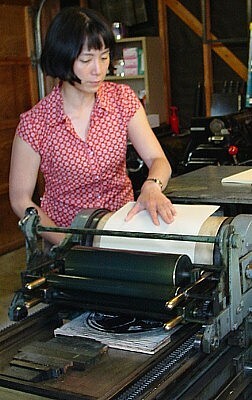 In addition to designing, sketching and painting, Yoshiko runs the letter-press printer (shown at right on her Vandercook hand press), printing her cards, block prints and posters using hand cut wood or linoleum blocks, one for each color. 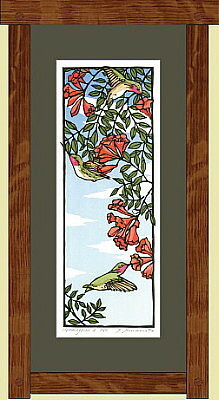 As one would expect, Yoshiko also uses a variety of acid free papers, each best suited respectively for cards, block prints or posters. 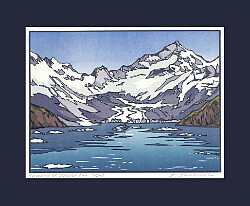 All the block prints are signed and numbered limited editions. 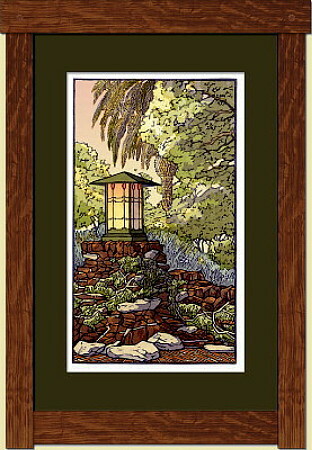 Most are matted with a dark, contrasting color carefully chosen to best emphasize the print. 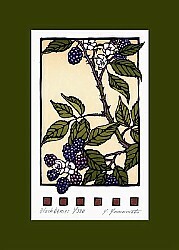 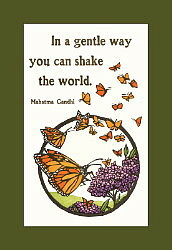 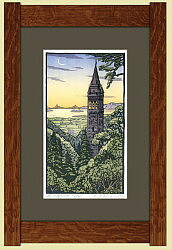 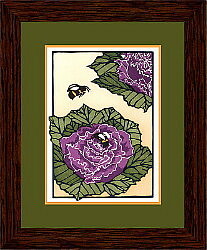 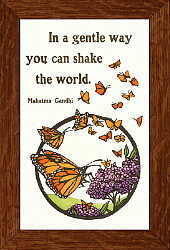 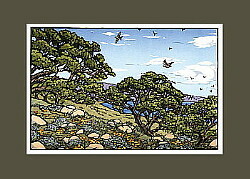 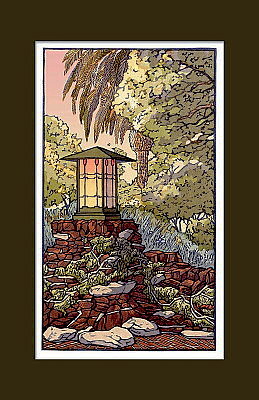 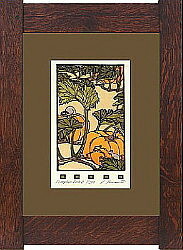 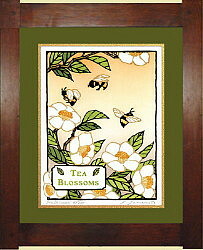 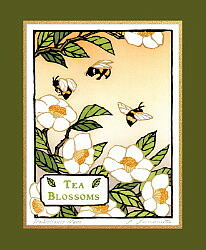 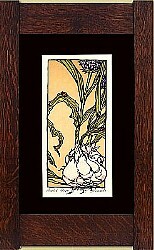 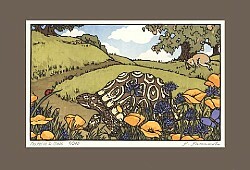 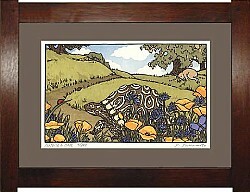 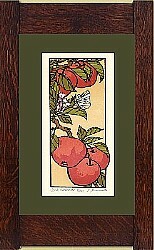 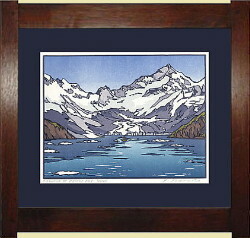 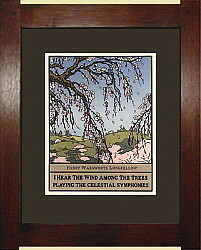 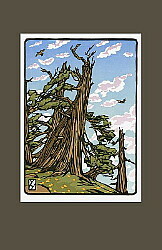 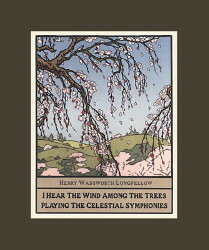 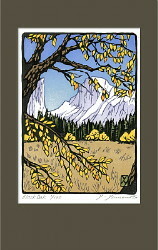 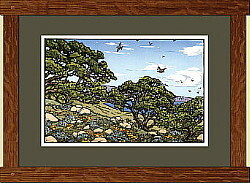 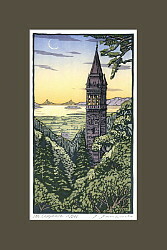 All prints are also available framed, and the mat colors are carefully selected to complement both the print and frame. 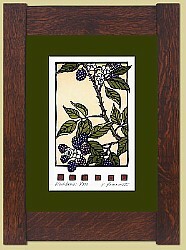 The frames are of quartersawn oak, and are mortise & tenon construction by Dard Hunter Studios. 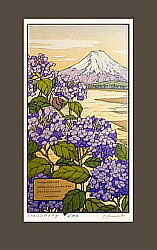 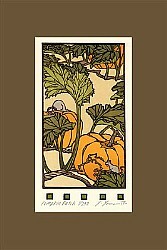 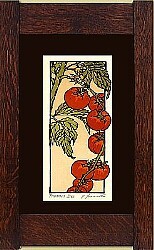 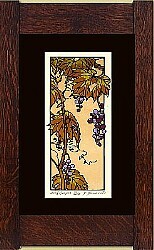 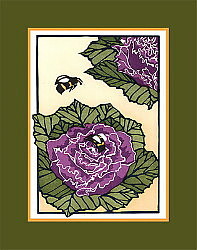 Yoshiko's (Yo-she-ko) work is greatly admired by those of us familiar with the current Arts & Crafts movement. 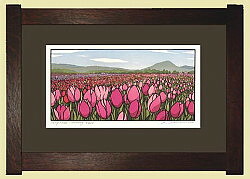 Yoshiko also has an enchanting personality and her art and charm always draw a crowd to her booth when she is at a show. 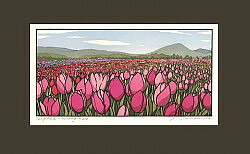 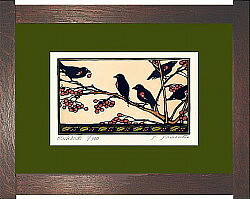 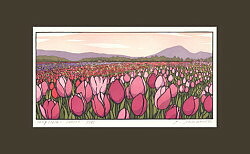 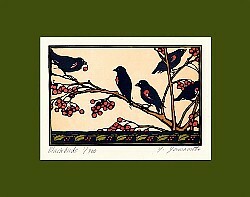 Please scroll down to shop and order your choice of Yoshiko's beautiful block prints!